In this game, warriors and wizards are fighting against each other. 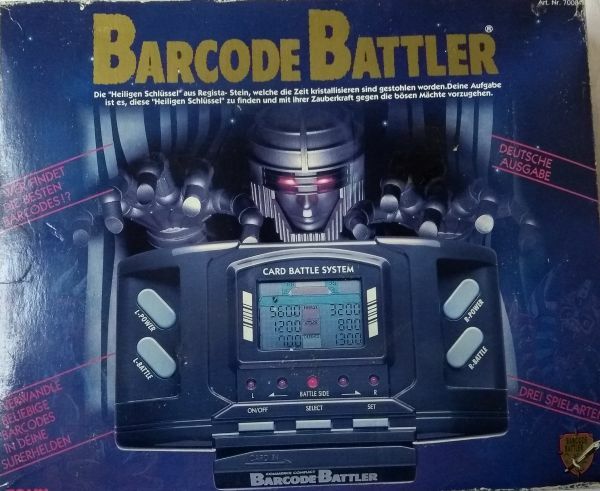 These characters are... barcodes ! 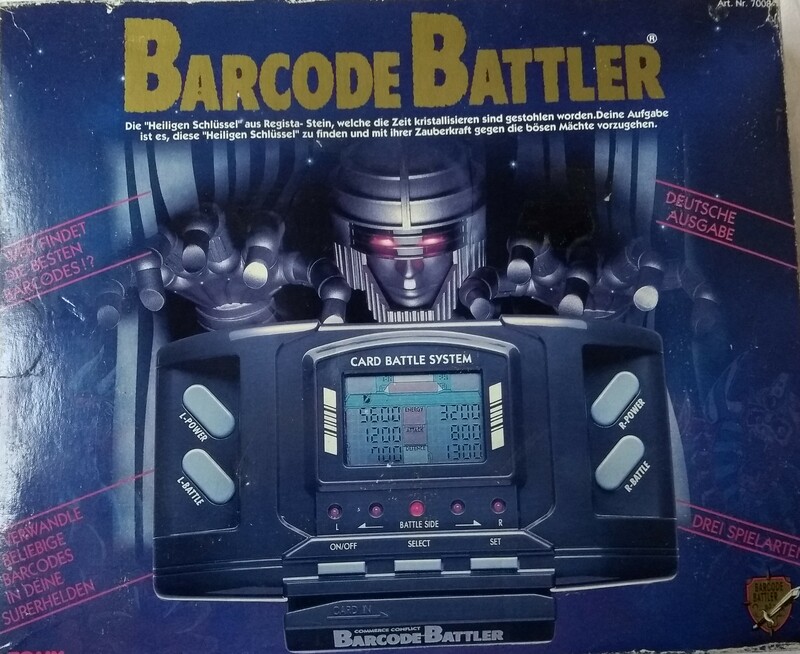 The game consists in an electronic device with a barcode scanner included, and a set of cards representing heroes, enemies and equipments. There's also a few blank cards that you can use to create your own characters with any barcode found on common products. 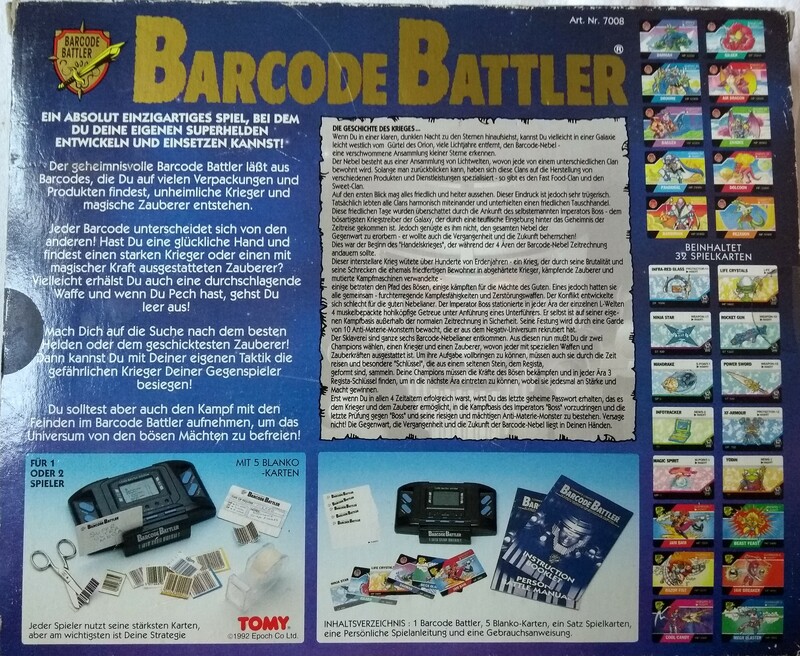 Weiterführende Links zu "Barcode Battler"